With these few words, we are invited to pause, to place our hurrying on hold for a few moments. And we are invited to remember all that we have to be thankful for today. While this is a simple practice that the youngest child can easily do, its effects are profoundly powerful at every age. Unplug: We first need to unplug our earphones, put down our smartphones and turn away from the computer screen. Are you ready? Pay attention: What are the first 3 things that you notice that make this moment of your life a little richer, safer, stronger, more fun, more loving, more beautiful, etc. It does not matter if what you notice is ‘big’ (I have an absolutely clean bill of health) or ‘small’ (I love this flavor of hot tea). What matters is that you notice parts of your day or things in your life for which you are thankful. In my own practice, I have come to see that it is often the small things that make the biggest difference in my experience of the day. Keep Practicing: Try keeping a small notebook that includes 3 things you notice each day. You may be amazed at the abundance of blessings that are right here just waiting to be noticed. Gratitude is such a powerful tool. It is a counterbalance to those times in our life, or in our day, when something unpleasant or difficult begins to consume us. Without denying its existence, or needing to distract ourselves from unpleasantness, we can use gratitude to give us perspective. And perspective almost always helps us expand our vision beyond the immediate challenge and cultivate our capacity to develop greater calm, compassion and clarity. 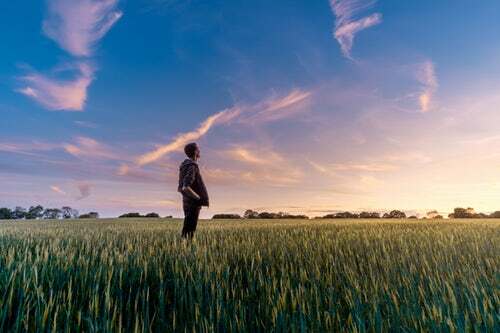 As leaders in our work and in our lives, we can use this practice to deepen our ability to connect with, and to perhaps gain greater clarity about, our lives. Janice Marturano is the Founder and Executive Director of the Institute for Mindful Leadership and the award-winning author of the international bestseller Finding the Space to Lead: A Practical Guide to Mindful Leadership. Janice returns to Minnesota this year to offer her groundbreaking one day Finding the Space to Lead workshop on May 4, 2018. Early bird rates are still available for this special event as well as Finding the Space to Lead ONLINE (live, interactive training online offered in May 2018).